Conduit has been run and water piping has been laid. Around the perimeter, both vertical and horizontal insulation (pink) provides a thermal break. During the winter, the insulation prevents cold exterior air from entering the building through the ground. 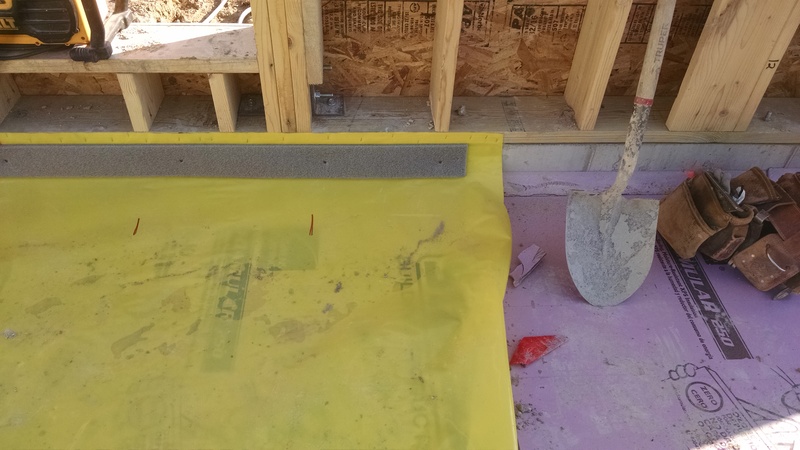 The vapor barrier (yellow) protects the slab from ground moisture. 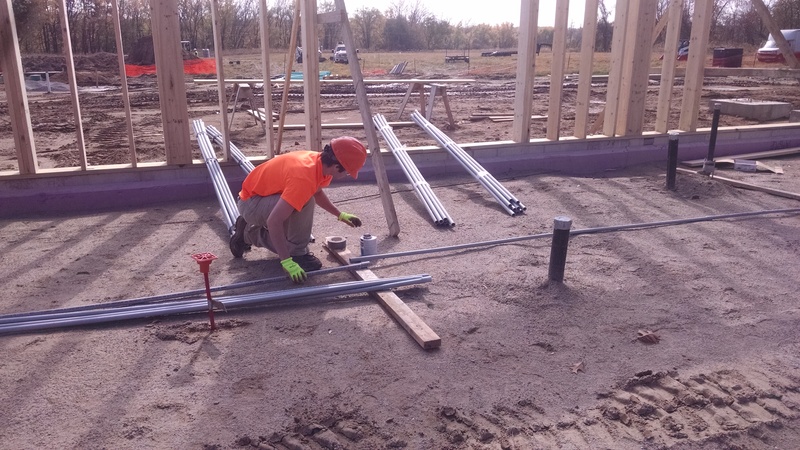 The rebar provides structural integrity to the concrete, tying it together and adding strength as external forces (tensile strength) pull on it in various directions over time. This will reduce the potential for the concrete to crack in the future. 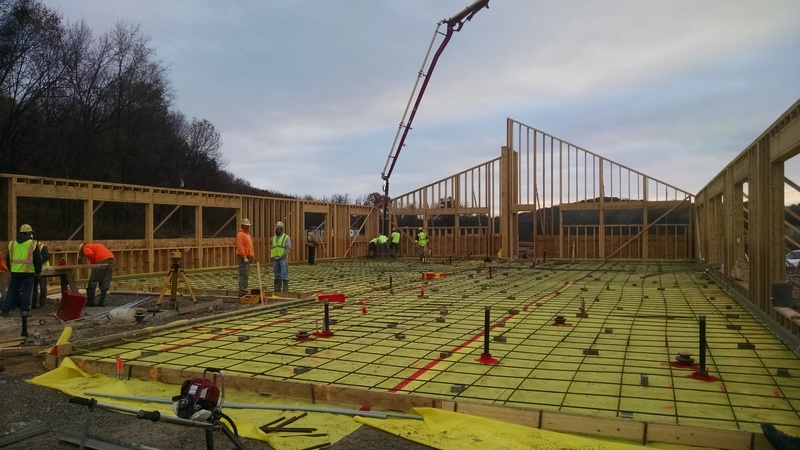 The floor of the building being created. So much of what has happened to-date has taken place underground and will never be seen. 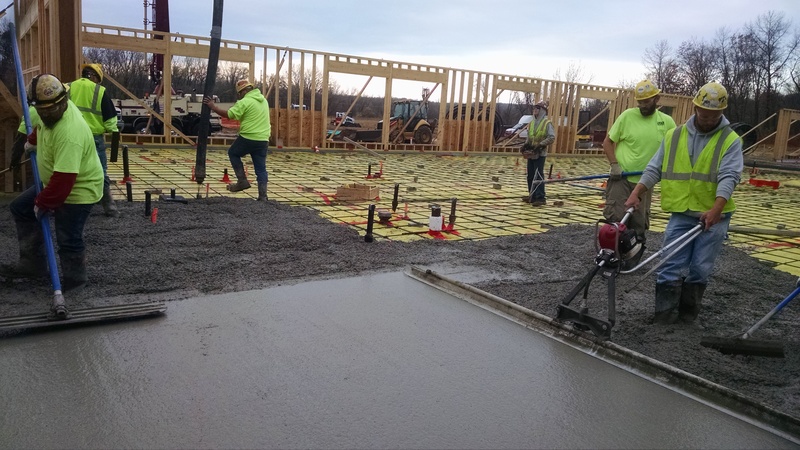 This concrete will be directly experienced every day by guests.